true but are they actually good games? one of them was metal gear solid which was already given out on plus in October and vanquish and the baseball game don’t look that good to me. Metal Gear Phantom pain was a ps plus game on september 2017..so what are you talking about? we’ve been given great games on ps plus this past few months! Yes XBox lineup have nothing new, MGS was last month PS Plus game and the baseball one is at best a meh game! What do you want a God of War 4 free game? PS Plus is giving you AAA games for free so be happy! no it was october as september was infamous and no i am not ungrateful I just expect better quality games for the price of what plus costs. they usually give out games that people already have or games that are not very expensive. they could give out better games if they wanted to. Didn’t PS Plus give MGS5 back in October last year already? XBox playing catch up as usual. so go to xbox and ill enjoy god of war and spiderman when it drops :) Rayman is a great game and Beyond Two Souls is to drum up hype/sales for Detroit. This is a fantastic month for me. Beyond: Two Souls is neat and Rayman: Legends is generally regarded as one of the best 2D platformers of the last few decades. How could Games with Gold be better this month when the two big games there, Metal Gear Solid V and Vanquish, have both already been PlayStation Plus games? Get outta here, man, hahaha. Shhhhh, you dont know what youre talking about silly boy. You guys in the replies shouldn’t judge Super Mega Baseball 2 so fast. I would call the first one the best sports game of the past 10 years. Sure I don’t think the sequel looks as good, but even if it’s a huge step back it’ll still be better than Beyond: Two Souls. How can you complain about getting 100’s of $ worth of games every year? Ps and xbox doesn’t have to give us anything. you expect better games for the price you pay each month? It’s 9.99 at it’s most expensive and 5.00 a month if you pay for a full year that is nowhere near expensive or deserving of anything. so many entitled babies, boohoo they didn’t give me the games I wanted for free. What’s Disappointing is that there are people who actually still care about these free games. I own everything Xbox is giving away for may. I don’t care about those games anymore than PS+’s free games for May. I played Beyond Two Souls and I don’t think I can force myself through that game one more time on PS4. I own Rayman Legends on pretty much every platform at this point including PS4. Pretty sure MGS5 was already given away on PS+, not that it matters since I own the game already. I have Vanquish for PS3 and PC, I don’t think XBOX X Enhanced is really going to make me want to play it again on Xbox. I’m sorry your just comparing one dumpster to another dumpster. Personally I’d love to see PS+ go away or at least make the free games go away and just offer deeper discounts on the store. Those are worth more to me and are in far greater volume that what Xbox Live is offering. I’d like to see online go back to a free model. Sony needs to lead the pack again. This shouldn’t be status quo. Note that there is nothing wrong with these games now. It’s just that if you evaluate how much they cost at this point, they don’t really justify the PS+ subscription. Whoa! 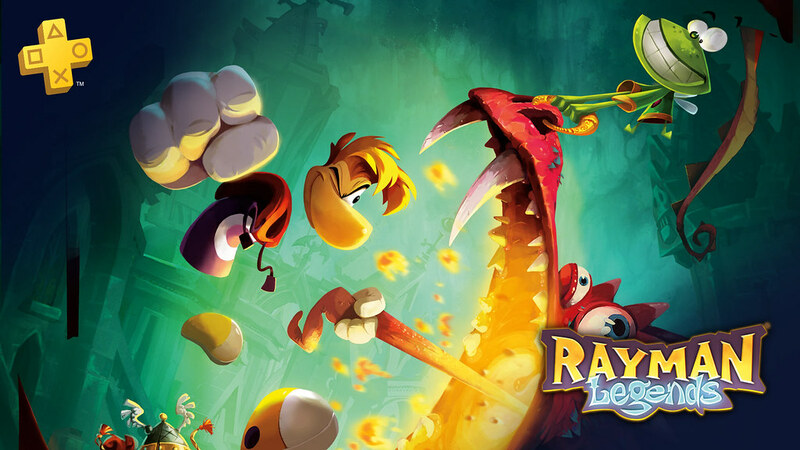 Rayman Legends!? I loved that game. Now everyone will too! Also I never played Beyond 2 Souls so that’s rad. I’m sorry, but nothing XB is offering beats Rayman Legends. Sony is actually offering at least one good game, XB is offering crappy AAA games nobody wants. See how stupid it sounds when I apply my subjective perspective as though it is fact? Now read your post again and see that you went even further than I did. The games they offer appeal to some people, but not others. If it’s not you this month, then wait because someday there’ll be a month that appeals to you but not to others. And then you can be happy on those months while others wait for their month to return. We got MGSV months ago and Vanquish years ago on Plus. Beyond Two Souls PS4 and Rayman Legends PS4 > MGSV and Mega Baseball. You happen to be one of the people screaming the same thing on gamerantings or whatever that site is? Thanks ps for all the free games. As to all the cry babies out there. I don’t always like the free games offered but at least ps offers something in return for having a ps plus membership. If you don’t like the games offered go buy what you like and a box of tissues. Or just stop complaining for the sake a complaining. If you have so many triple A games on Xbox, what you doing here trolling playstation? Shouldn’t you be preoccupied with those amazing titles? Or maybe they just aren’t that good as you say. So you got bored came here to troll playstation gamers. Right? If you already played Vanquish or don’t feel like playing Vanquish, and if you’re not into old schoolish baseball games, then all you have to look forward to is a game PS plus already got. But if you’re interested in an interesting game that you can have someone else use a smartphone to interact with your gameplay on, if you’re interested in co-op platforming excellence, and if you are bored and want a weird spin on Angry Birds that doesn’t cost you $20-$50 or what ever ridiculious thing they charge for that game… then this is fine. If you’re not happy with plus then unsubscribe for like 6-9 months and and when they drop the PS3 games the Playstation platform will be offering games across PS4, and maybe PS5, and maybe Vita. So the quality will go up because it’s not up to Sony as to what games they offer, it’s up to marketing departments and how much of a lump sum they’ll accept. Fact of the matter is unfortunately too many people reflect the personality of the leader of the U.S. and have nothing better to do but dump on everything and wonder why people aren’t catering enough specifically to them. As least grammar is better on the blog crybaby rants than what we get on Twitter from the POTUS. They are dropping the Vita, and maybe they aren’t dropping the Vita per say. If they give out Darkest Dungeon you’re getting a Vita version with that. If they give away Full Throttle Remastered you’re getting a Vita version with that. If they give away One Piece game, or a Dynasty Warriors game? You might get the vita version with it. They are Dropping the Vita, that doesn’t mean you won’t get any Vita games. I think they gave out Banner Saga but if the Vita version releases and they give out hte PS4 version, the Vita version might tail along even if it’s not Cross-buy. Dragon’s Crown PS4 maybe they give it away and give the Vita version away at the same time like last time. So yes they are ending the support for the Vita, but that doesn’t mean you won’t get Vita games on there. That’s why it’s worth a maybe. Vaniquish and Phantom Pain was already given out for PS Plus long time ago… and that baseball game doesn’t look to be a good game !!!! Blah, garbage as well as no VR games. I just got PS+ again after a long time. Man what a time to be back. I’ve been holding off Rayman since forever and it’s awesome to get it for free!!! Never finished the BTS I borrowed on the PS3, and a remaster should be fun. Honestly I love the PS+ mostly because I don’t buy that many games anyways (not all of us have infinite cash), and it allows me to try out many games I never would’ve bought otherwise. It served me insanely well during the PS3 years, and glad to see it doing the same on the PS4 now. Beyond: Two Souls is amazing. Agreed about BTS! For anyone who hasn’t played it (or anyone looking to play it again) I know it is billed primarily as a single player game, but it is hands down the best couch co-op game I have ever played (well, maybe until A Way Out last month…) Have one player play as Jodie and the other as Aiden. My friend who had played it before took control of Aiden during my first play though and played it with his own agenda… such a cool experience. Tried playing it as a single player game and it just wasn’t the same. Still good, but that first play through was special. Rayman Origins was on PS+ for the Vita a long time ago. Rayman Legends isn’t cross-buy though, so they could offer the Vita version in the future. Actually a couple non cross-buy games have been given as cross-buy in hte past. Dragon’s Crown is the one that immediately comes to mind but there was one much more recently that I don’t remember because I’ve been working too much and life and Monster Hunter take up the rest of my time. @MakaiOkami You’re thinking about Grand Kingdom. Such old games. I miss getting brand new indie games once in a while. I think they are bundling in Heavy Rain when you order Detroit Become Human. I just finished BTS on PS3 a few months ago. Not sure if I feel like playing that all over again. It was quite a tedious Platinum playthrough. Beyond Two Souls is the PS4 remaster and Rayman Legends is the most recent Rayman. They aren’t that old. Great month imo. I own Beyond on PS3 but never played it, maybe now I will. I have Rayman Legends purchased 3 times over now one more couldn’t hurt, right? That game is AMAZING. Played Beyond on PS3, and bought it at a big discount for PS4 because I seriously want to play it again with the better graphics (and perhaps change my gameplay choices and see what that does). It was stunning on the PS3, I never did get to it on the PS4 but I expect even better. If you’re expecting a traditional FPS, you could be disappointed – but if you enjoy it for what it IS, it’s amazing. Beyond: two souls is a better experience on PS4. The graphics are slightly improved and the framerate is a locked 30. Also, the remixed mode is available from the start, which is a much better version of the story. @FeistFan – Better graphics?…haha you wish,y’all sure like to be deluded by these companies shoving recycled after recycled games upon us.Same damn game,as unnecessary and cash-grab as any other recycled game brought from PS3. Rayman Legends is one of my favorite games of all time. It’s gorgeous and a ton of fun to play. It’s still the Platinum I am most proud to have. Took forever, but was so worth it. It doesn’t specify, so I assume that the two headlines are both the PS4 versions of these games? another horrible month the ps4 games most people already have by now. risen 3 is a crappy game that got horrible reviews and king oddball is nothing but a port of a mobile game. I wish we would have more months like january and february. You already own them. I don’t. Looks like a lot of people don’t. This risk is not a secret with PS+ or Humble Monthly or Games with Gold. You may or may not own some or all of the games offered. It’s been like that for years. You decide if a game is worth jumping on early, if you’d rather wait for a specific price, or if you want to hold out to see if it’s given away one day. You can’t be mad that a game you bought is being given away. You chose to buy it. I have not bought these games but I have played them before. I was really happy when deus ex was free as I was really wanting to play it again as I never got to finish it when I rented it. Please stop lying to people just because you’re upset that you didn’t get what you were never promised, kid. Quit acting so petty. It’s not cross-buy, so probably not. Sweet great games thanks playstation can’t a ait! Own none, that is a plus. Legends is easier on PS4 than Vita at least. Diamond Cup is annoying. Great idea with Detroit right around the corner! Yes you did. Especially the musical levels. So fun. I have BTS on PS3. Don’t mind playing it on PS4. Great month. Can’t really complain. I’m assuming they’re giving beyond two souls because if you pre order Detroit become human digital deluxe edition on the playstation store you get heavy rain. i think this a great offering this month. yes risen is not a quality game but is better than the mess we got last month. For those who complain about Metal Gear V Phantom Pain and Vanquish on GWG in May, PS+ gave out Vanquish(PS3) in Feb 2013, and then Metal Gear V Phantom Pain in Sept 2017 already. To Berserker_MZ: True, that’s why I have both PS+ and XBLG. Do not really care. We got MGSV and Vanquish a long time ago on PS+. Who the heck cares if you can play a 7 year old game BC on xbox? God of War, MLB The Show, Yakuza 6, Ni No Kuni II, Detroit. With all the great NEW PS4 exclusives who has time for old BC games? iamtylerdurden1 AYYYY Yakuza 6, THAT GAME RIGHT THERE GOES HARD AF! You know what’s up! If God of War wasn’t as popular as it is, this game would be the BEST PS4 exclusive ever. What are those trash vita games? At least give us some visual novels. Those look like mobile free to play crap. They are both under $10. Come on you can do so much better then that. Amnesia and Code Realize were great. Give me more games like those. Why is risen 3 Titan lords only a ps3 free title? It should be available on both ps3 and PS4. I’d play it if we got on PS4. The visual novels are not fun either as they are super boring. I agree that the ps3 and vita are getting secondhand games. I cannot believe they chose to release a game from 2007 which is not that good and uses crappy motion controls. I don’t expect aaa every month but I expect better games than what they are giving out currently. How come the avatars have not been showing up the past week? Beyond two souls might be interesting but I’m not sure played the demo on ps3 but never picked it up. Other games have no interest to me. I played the BTS demo on PS3 back in the day, but never really broke down and bought it. I’ll be picking that one up. The PS4 games look like good selections, but not really crazy about the other ones. Beyond Two Souls PS4 and Rayman Legends PS4 are excellent PS+ games. Look at some of the recent PS+ games. That is spectacular. PS+ has been great for a while. BTS is an underrated game with a genuinely surprising twist ending, better than Heavy Rain IMO. super disappointed in the continuing lackluster Vita games. Do you even try? I wondered if they would offer another vr game soon. I’m not too disappointed as my game backlog is bad enough. I still haven’t even started HZD or P5 or GoW or Mad Max or Ratchet and Clank or Knack. Still keep my Vita / PS3 too. Just picked up a PS4 Pro 1TB because it was 20% off and 5% off Target RedCard. I got 4TB external HDD as the 2TB inside my PS4 Slim is Full, a PSVR Skyrim bundle, Farpoint w/Aim Controller, a TES+ Fightstick. You come home and stare at electronics: what’s old and what’s new, a flash sale pops up, refresh that wish list. Oh you still have to finish Bloodborne w/old hunters, Helldivers, Infamous Second Son, P4G, D4 promise revisited, blah, & blah. You grab the nearest book and walk out the (wait grab Vita) door. Beyond 2 Souls 2 Furious is hella garbo. If they wanted to promote Detroit then it should’ve been Heavy Rain, a significantly better game. Once again games i already have!! Please Sony put games i haven’t played yet!! Thank you!! Good lord people, enough complaining. First, a lot of subscribers were complaining that we were not receiving any AAA games. Now that we ARE receiving AAA games, those are now not good enough either. Fair enough, some of these people might be younger gamers for who’m nothing is ever good enough these days etc, but It never ceases to amaze me how much moaning and negativity there can be with gamers regardless of age. For those of us who, for one reason or another, perhaps have not yet had a chance to play some of these or other recent Plus games, I’d say we’re doing pretty well, considering the annual price of a plus subscription. Really I’m surprised they didn’t put something like God of War 3 Remastered,Middle-Earth Shadow of Mordor,Until Dawn,Dishonored 2,Batman return to Arkham,or even Uncharted the Nathan Drake collection on this monthly lineup. But some-to-most PS Plus subscribers sell the monthly lineup of free games short like your not gonna get the new God of War game but if your lucky you might get God of War 3 Remastered same thing with Resident Evil 7 but you might get rather Resident Evil 4 remastered,or Resident Evil Origins Collection for example sometimes you got to look past the bad games and find the ones that are fairly playable ones like the free games lineup got off to a pretty good start this year with Batman the Telltale Series,and Deus Ex mankind divided in January.Knack and Rime in February.Ratchet&Clank (2016),and Bloodborne in March. And last month was Mad Max,and Trackmania Turbo they were all fairly playable. so please don’t sell the PS Plus monthly free games lineup short as a courtesy note. They just had Until Dawn a few months ago. But i agree that most people complain too much about the lineups. It seems like too many people expect to just have PS+ and then never have to buy a game on their own. AAIG1995 Well sorry to say they dont do repents of games so you are out of luck plus cnjchassie GOW3 hasnt been a free game that I have seen when was this? You say lucky as if it was any good getting a damn recycled game for PS4….you see that “PS4”.BTW this sentence:”I would still like for those games to show up on free games lineup just for newcomers to get their hands on those games”…you sure like to dream don’t you?….haha. Another very interesting month. Been some really good Plus games lately. Thank you Playstation. Wish we could get Rayman Legends for the Vita. I already have Rayman Legends on PS4 so i know it isn’t cross buy. Still some good games though. I’m honestly quite happy with this lineup. They’re games that I’m interested in playing but would never likely think to buy on my own. I’ll take a game from a smaller studio rather than a AAA game that I already own any day. Wow, if you play your cards right. You can get 3 Quantic Dream games in one shot in May. Beyond Two Souls is the free PS+ game for May. And if you pre-order Detroit: Become Human Digital Deluxe Edition. You also get Heavy Rain for free. So you will have those 3 awesome Quantic Dream games in your library. Nice! Happy with PS PLUS’s game offerings myself and have been a subscriber since the beginning unpaid(PS3) and paid(PS4), but since Sony/PlayStation have upped the price and did not necessarily add any more value. I personally believe that Sony/PlayStation should include Spotify with your PS PLUS subscription as an added bonus for the price increase.. Such as a basic model the way it is and another premium or a few premium options with Spotify, Vue and/or even PS NOW added in at a substantial discount. Right?…I never rely on Plus to play games but that doesn’t mean I don’t care about what I’m getting for the service I’m paying for.It was really funny to see all that people thinking all months would be like march with Bloodborne and Ratchet..they did good with Mad Max but next month stinks. So.. a bunch of comments get moderated, including mine where i suggest people be more considerate and change their perspective on being entitled, but the guy on the first page who called someone a ***** gets to stay? Solid moderating sony. Real professional. I was hoping for a sale on Beyond close to Detroit, since I missed out on the PS3 version. This is ever sweeter!